When An Inch Is Almost Never An Inch : Blog Of The Nation It's well-known that the sizes on women's clothing are unreliable. But men have long relied on the sanctity of sizing by waist measurement. Think again. Abram Sauer at Esquire found men's pants sizes are every bit as unreliable as women's. Sometimes, a 36 is more than a 36. It's well-known that the sizes in women's clothing might as well be arbitrarily assigned. I mean, yes, an article with a higher number is fairly reliably larger than one with a lower one, but beyond that, one store's 6 is another store's 12, and it can vary even more than that. But for the most part, I think women are used to it. Men, not so much. My fiance recently lamented a new pair of pants that didn't fit how he expected them to, a flagrant violation of the rule of men's sizes: Since the numbers refer to inches, a 34 is a 34, no matter who makes it. Unbeknownst to us, Abram Sauer at Esquire was on the case. He found men's pants sizes are every bit as unreliable as women's. The worst offender? 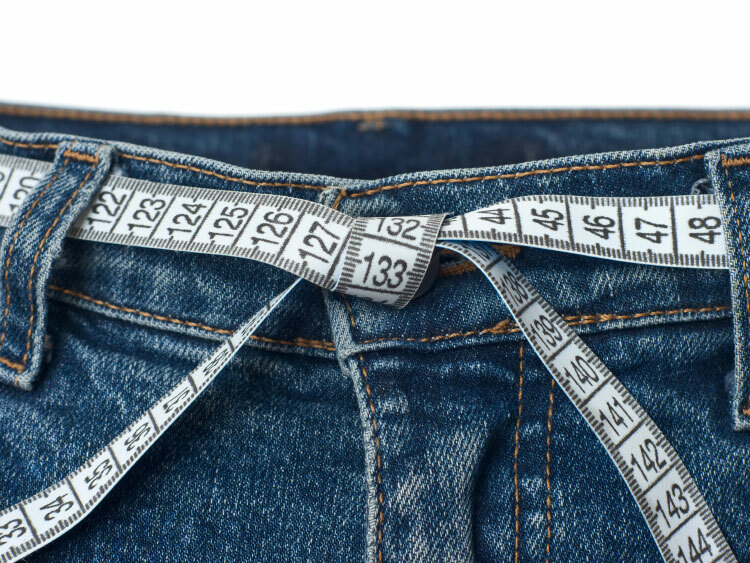 Old Navy, whose size 36 pants' waist actually measured out at a whopping 41 inches. Check out Sauer's full investigation to see if your pants are lying to you.